It’s not every day a new car comes on the market that is less expensive than the dated predecessor it follows. 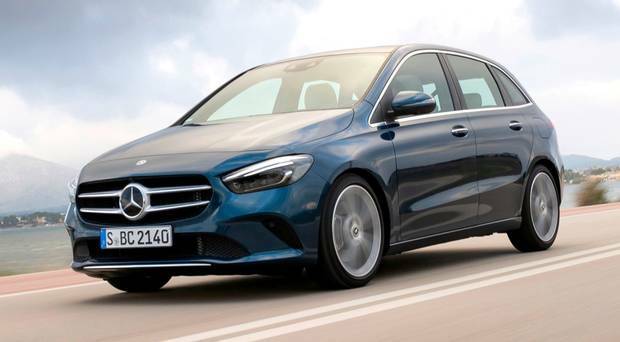 That seems to be the case with the new Mercedes B-Class. It has just arrived and we’re told several models are priced lower than their predecessors. Prices starts from €32,745 ex-works – well down on the previous, they claim. There are two petrol and three diesels. The new arrival is one of 15 new or face-lifted models the brand will bring to the Irish market this year. Busy times in a tough market. Among a spread of techno stuff on the new B-Class is the voice-activated driver assistance MBUX and ‘Mercedes me’ systems. * Skoda have donated the Rapid model used by Pope Francis during his time in Knock last August to the Foyle Search and Rescue charity based in Derry. * Audi’s large electric SUV – the e-tron – has arrived here and is available for test drive, the brand says. Pre-registered customers will be the first to get the chance to sample the car which has caused something of a stir. Prices for it start from €101,750 on-the-road. * Toyota’s revised Prius gets here in March with an array of design touches and some spec enhancement. There is, for example, a larger wireless phone-charging tray, better head-up display and a faster Toyota Touch 2 multimedia system. Prices will start from €32,250. 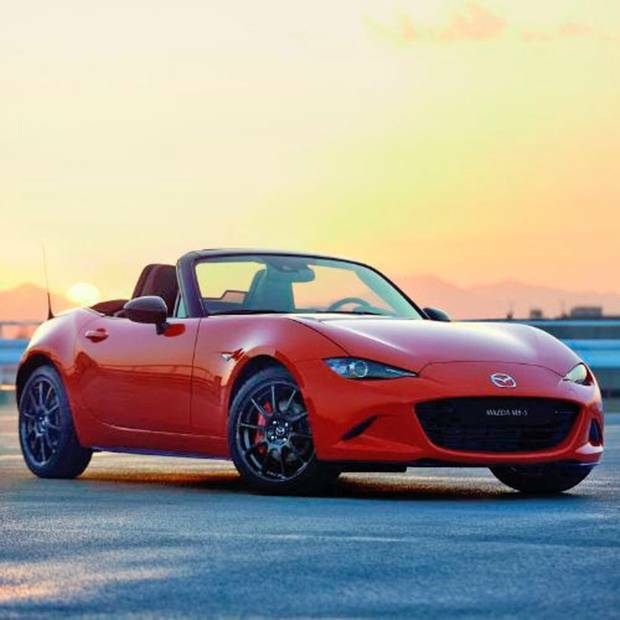 * Mazda has revealed the 30th Anniversary Edition of its evergreen MX-5 roadster. With more than a million bought since it was first introduced 30 years ago, the company decided to develop Racing Orange for this special occasion. Also on the celebratory models are forged aluminium wheels developed specially for the Edition. Sales are being limited to a total of 3,000 worldwide. And we in Ireland can expect to see a few of the special soft tops here by early summer. * Subaru will show two electrified cars at the Geneva Motor Show. It will unveil two e-BOXER powered models during a press conference scheduled for March 5 .